France has played a major role in culinary history, and here at Outside the Ball, we’re hungry for more! 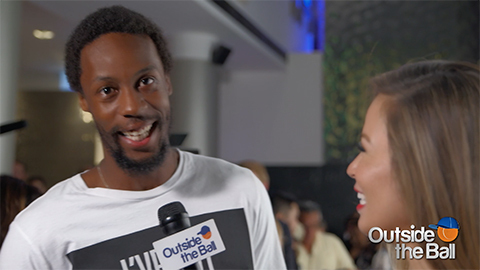 Host Mayleen Ramey joins the electrifying Frenchman, Gael Monfils, in a language lesson so good you can taste it. Monfils translates the French names of popular dishes that you may discover on a restaurant menu, and no, we’re not talking about “French fries” or “French dressing”. Let Monfils guide you through the delicacies of French cuisine and the language of his country, but we warn you, this is one interview you don’t want to watch on an empty stomach!